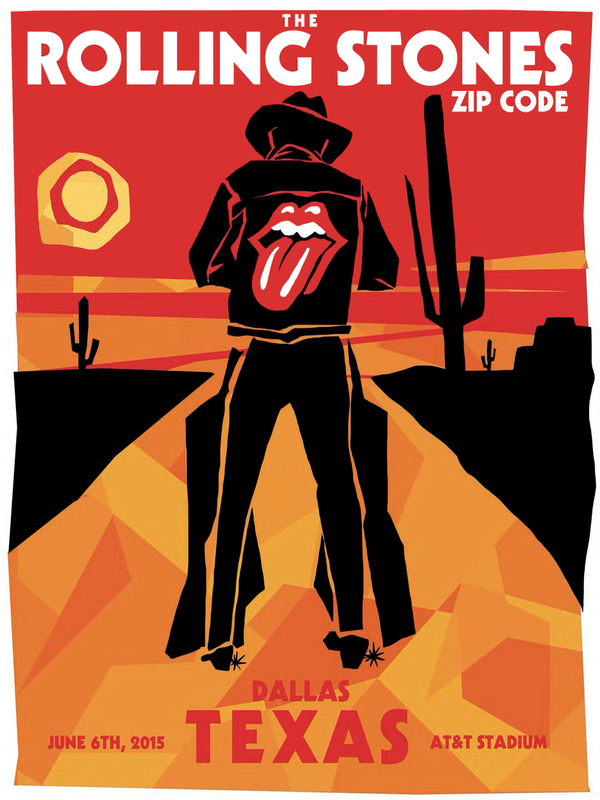 This thread is for live updates and comments regarding The Rolling Stones Dallas TX USA 6-June-2015 show. Please tell us your pre- and post-show thoughts and comments here. Expected show start i.e. 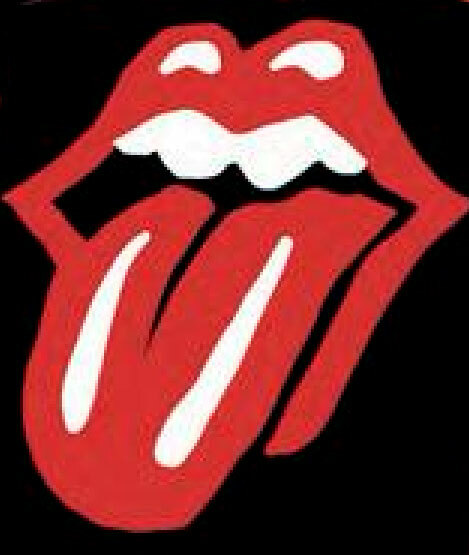 Stones on stage around 9:30pm. Edited 2 time(s). Last edit at 2015-06-09 16:18 by bv. Have a great time and stay safe everyone!!!! Yes - see the explanation here for this Cowboy garment: [www.iorr.org] . One thing, I don't get is that really bad quality they use when issuing the posters on facebook. Does FB crank up that JPG algorythm so bad so that you get all these ugly 'dirt-borders' around the edges of those pics? Edited 1 time(s). Last edit at 2015-06-06 19:01 by waterrats. Any reasons why they aren't using the huge video board today? One thing, I don't get is that really bad quality they use when issuing the posters on facebook. If they upload it in high quality everbody would just print it out instead of buying it. OK - you can't post pics on twitter without getting that pic strongly compressed. It's a little bit better in the larger version: [www.iorr.org] . Someone to explain what is a rally towel? It's used at American sports games to help 'rally' the home team; we'll all wave them at the same time while we cheer. Usually used when the home team is losing and making a comeback. Is anyone going to "scope" Grace Potter tonight? 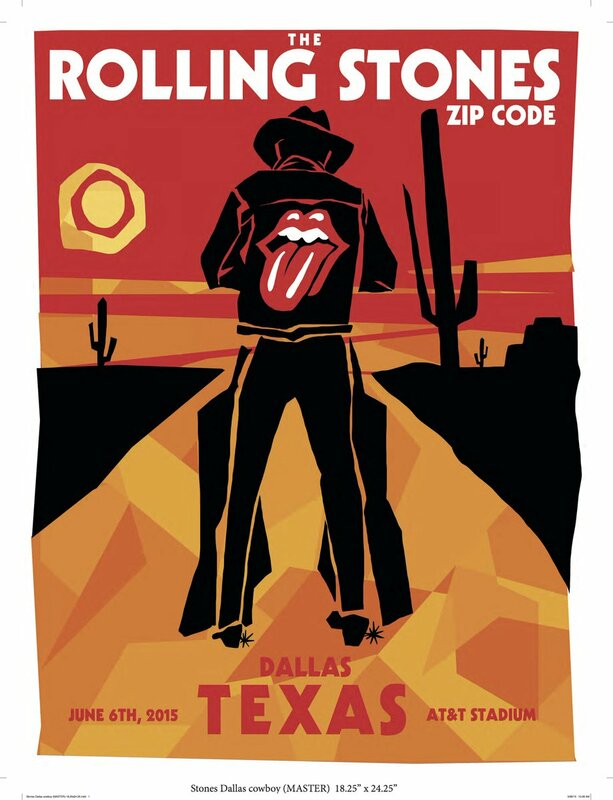 OK i see, but is it a real towel or a poster ? Can you use it to dry your hands ? And is it large enough to lie on it on a beach ? No, you can't lie on the beach with it. A rally towel is basically just a hand towel decorated with team colors that fans of certain teams are known to wave around. On Ohio, I don't know where you read that. I don't know of any--well, maybe one or two. Not common at all. Why no large video screens used in Dallas? Maybe because it's not an NFL event or event the stadium has creative control over. Maybe the artist does not want their video feed put through to a second party which it cannot control who has a line feed? I'm almost to that part. It's also good if you're hitchhiking the galaxy. Don't panic and play Moonlught Mile. Have they used it for other concerts, where the stage is at one end zone? I've been to over 500 shows by various acts in many venues all over the place, but I've never seen any act use video screens that face a different direction from the stage. It seems unnatural. The screens that the Stones already have are good enough, no? Please do not post or quote animated/moving graphics here. They will be deleted. Thanks. Seems like it might be a bit of a distraction to the band too. I doubt they want to see such a display in their peripheral vision while performing. Besides the light from it would detract from the light show and video's emanating from the stage. To be more precise: Images with moving graphics should not be posted on IORR. Still images are fine. Regular images, nothing fancy. Leave the jumping rabbits etc to the circus.